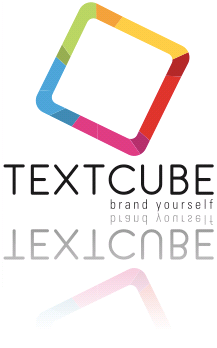 Textcube es un gestor de blogs (muy a lo wordpress) de la empresa coreana TNC, la cual google ha comprado recientemente. Con esta nueva propuesta Google quiere ahora competir con el ya mencionado WordPress, ya que su sistema de blogs actual, blogspot, no es que esté muy bien considerado. Como tenía curiosidad por probar textcube, me lo bajé sin dudarlo de su página en perfecto coreano. La lástima es que al final no he conseguido hacerlo funcionar. En fin, que mejor esperar a que google le eche una zarpa. I have been browsing online more than three hours today, yet I never fouund any interesting article like yours. and it is time to be happy. I have read this post and if I could I want to suggest you some interesting things or advice. It is the best time to make some plans for the long run and it’s time to be happy. I’ve read this submit and if I may I wish to counsel you few attention-grabbing issues or advice. Hi, I do believe this is an excellent blog. I stumbledupon it 😉 I am goung to come back yett again sinc I bookmarked it. tough to get that “perfect balance” between user friendliness and appearance. In addition, the blog loads extremely ast for mee on Chrome. blogging. You have touched some good points here. Everyone loves what you guys aree up too. This kind of clever work and exposure! came to check it out. I’m definitely loving the information. Hi there ould you mind stating which bog platform you’re working with? with? I’ve loaded your blog inn 3 completely different internet browsers and I must say this blog loads a lot quicker then most. now and finally got the bravery to go ahead and give you a shout out from Lubbock Tx! blog loaded on my phone .. I’m not even using WIFI, just 3G ..
in it or something. I believe hat you simply can do with some p.c. He constantly kept preaching about this. I most certainly will send this post to him. What’s up, I read your blogs like every week. I simply couldn’t leave your web site before suggesting that I actually loved the usuual info an individual supply for your visitors? Hello, just wabted too mention, I enjoyed this article. article I browsed. And on this article Google compra texcube | Xonos. questions for you if you usually do not mind. Hi there, There’s no doubt that your site could possibly be having internet browsr compatibility problems. Someonje essentially assist to make seriously posts I’d state. up for the excellent information you have got right here on this post. I am going to watch out for brussels. I will be grateful if you happen to continue this in future. A lot of folks shall be benefited out of your writing. I’m having some small security problems with my latest website and I’d like to find something more risk-free. this website more content focused . Ubuntu 9.10 (Karmic Koala) Alpha 1 out!